WordPress themes are in aplenty. With literally thousands of WordPress themes available, it inevitably becomes difficult for the person to choose the best and the appropriate one. 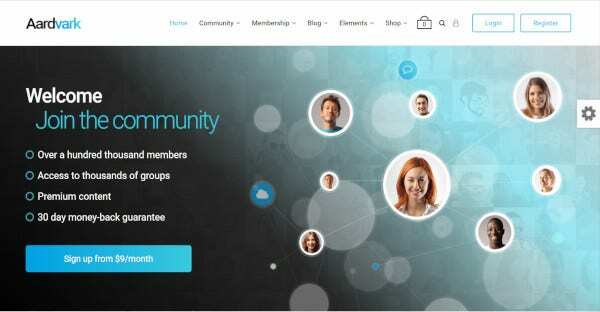 When it comes to Community and social network WordPress theme, there are many with different and advanced features. There are themes for online dating, social networking, tourism related, charity-related and many more. 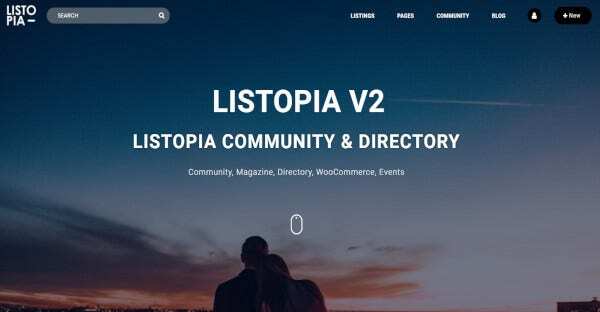 Given below is a list of WordPress themes which are based for a community and social networking, among a thousand of similar themes. 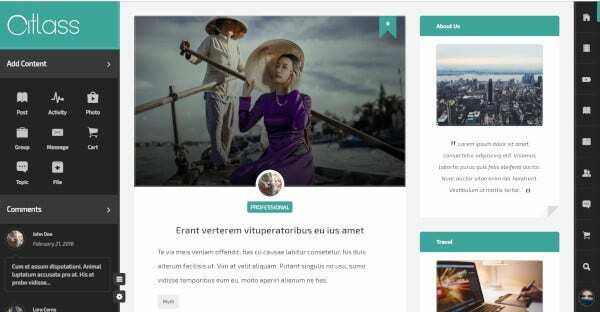 This WordPress theme does not require any coding. You can always save your time and make it easy for yourself by building pages with Elementor live building. It is convenient for visitors to search by Address, Zip Code, Current Location and Distance from the location. In this theme, you can also set up ser menus for your users according to what they use and add, remove or re-order whatever way you want. Not only this, you can add more categories on your Map Listing Page and also put more types for filters. 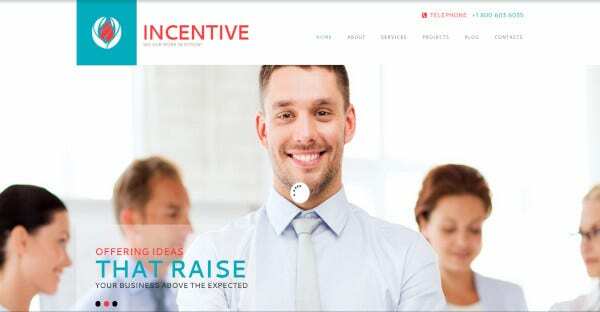 It is one of the leading Intranet and Community WordPress Theme and has more than 3,500 users and more than a hundred 5 star reviews and rating. 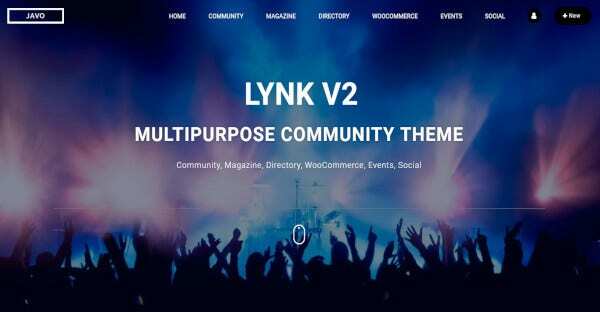 It is the ultimate breeding ground for collaborative online community as it brings together social networking, messaging, forums, events, projects and task management among others. Members can send messages, files, and events and even edit and collaborate on documents, manages data and projects as the theme is designed to suit their needs. This theme also provides for a private site option which gives a secure login to its members. 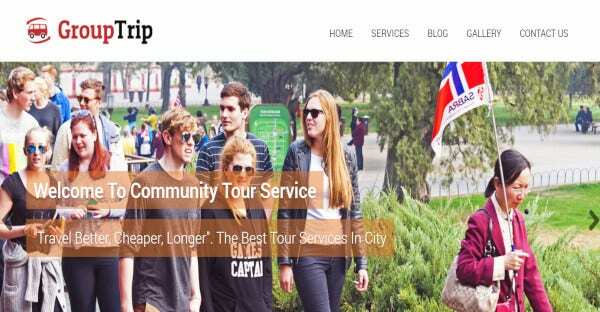 Group Trip is a WordPress theme which promotes cultural tourism. It provides travel agents, local tourist guides, community tour organisers and all those involved in the tourism industry. It offers smooth navigation to the users to go to different sections from the menu bar. Its features include 24×7 support, 30 days money back guarantee, custom templates, browser compatibility etc. it is the perfect theme for travellers not only explore unexplored destinations but also explore themselves through this experience. With multipurpose WordPress 5.0+ the theme is Compatible With bbPress2.4+, Buddypress 3.0+ and WooCommerce 3.0+. This theme boasts of a customizable sidebar with counters for twitter and RSS feed burner, also a great gallery importer apart from Flickr and much more. It also provides complete documentation to configure your WordPress and theme and even customise it the way you want. Some advanced features of this theme include customizable Dropdown Menu, Full-width page template, threaded comments, widget ready and many more. This WordPress theme is highly responsive as it will adapt to any screen size and the texts and images are flexible as well. It also provides the feature of ‘Parallax Scroller’, which will help the user to experience onsite better and thereby the user would want to visit the website now and then. The WordPress theme also has an integrated and advanced SEO Support system which allows them to handle the page’s metadata and heading tags. It also has widgets which allow you to add static and dynamic content to specific areas of theme such as a sidebar, footer and header. Built with a Mobile first approach, BuddyApp is a theme which stands out from the rest of the crowd. It is perfect for any Private and Public community, Intranet and Extranet websites. Some of its top features include live notifications, live customizer, Ajax Search, Live chat, File Management, 3 Menu Locations etc. It also has a feature called ‘Buddy Network’ which allows members to social network on WordPress with the other member profiles, user groups and many others. 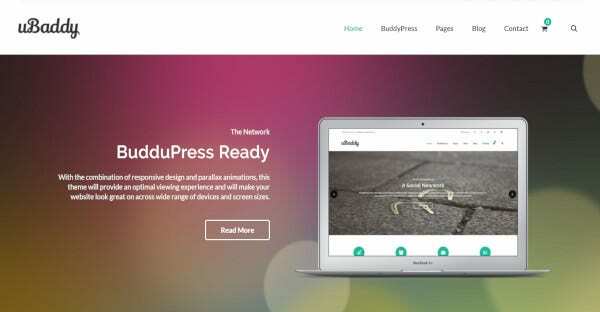 This WordPress theme integrates with BuddyPress and includes demonstrations to help you get started. Some of its features include Business Directory where the user can add local companies and business networking shops, Magazine page to engage the workers, Event Calendar which adds events for your community and many more. It also has a shopping feature that allows you to build your E-commerce shop page by WooCommerce. It is a simple yet excellent WordPress theme. It has an excellent responsive system which allows your content to be displayed on mobile screens. The reason it is a Multi-purpose WordPress theme is that it supports WooCommerce, WPML and Tallykit. It has a powerful admin panel, lots of shortcodes and is easily customisable. It has super easy installation and set up as well as a demo content importer. 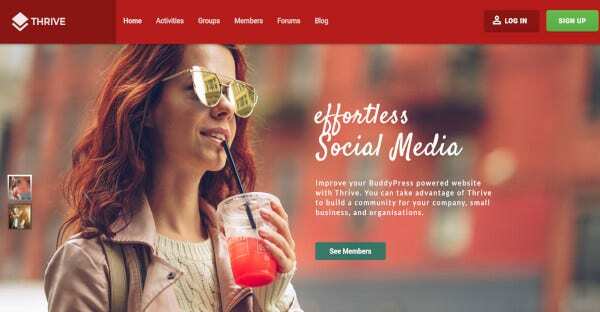 This WordPress theme doesn’t support BuddyPress but also has a real BuddyPress Community and Social Network Theme. Some add on features include, WooCommerce support, like and dislike rating system, featured member system, user blog posts, social media sharing buttons, mutual buddies, custom login/register pages, social login etc. It also boasts of an easy yet powerful theme option and even a panel to customise the theme. 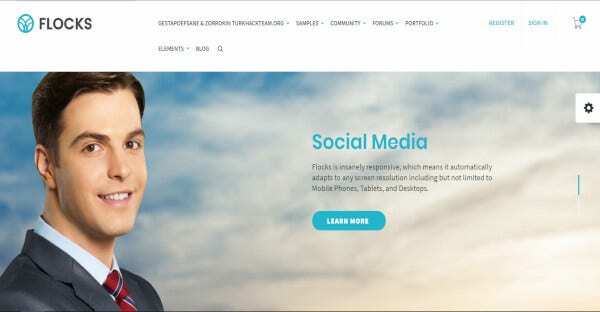 This WordPress and BuddyPress theme is best suited for the online community, social network, social sites, team blogs, user groups, messaging and many more. It has a tremendous social design along with advanced trends and techniques in mind. It is a clean, professional and modern next-gen WordPress theme boasting of features such as User Interface- Atlass; User Interface- Monarch Default; Widgets Page; Masonry Home Page; Group and User covers and many more. 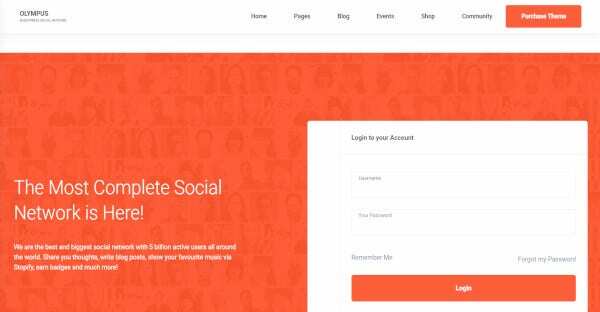 This WordPress theme is a social networking ready theme and has a great response system. Hence, it adapts to all screens and is not limited to mobile phones, tablets, and desktops. People can make use of Flock for social networking, community building, community forums and community websites. You can also sell anything online as it has compatibility with WooCommerce. It has a unique header, and footer styles along with great plugging support such as BuddyPress, One Click Demo, Custom widgets, BBPress ready and many other also. This responsive WordPress theme allows you to create a membership site and provide for both free and paid membership. It creates options for websites related to online dating, web hosting, learning portal etc. Some of its product features include WooCommerce, Visual Composer, Responsive Layout and BBpress and BuddyPress. Some add on features include social sharing, AJAX pagination, sticky header, SEO friendly, post formats and many more. If you want to build a website on social networking, business related, online dating, tourism, charity related, then you can take a look at all the themes mentioned above, choose the one which is the most appropriate and make the best social networking website for you.